Amazon (NASDAQ:AMZN) today dealt another blow to Intel’s (NASDAQ:INTC) stranglehold on the server CPU market. Leveraging their acquisition several years ago of Annapurna Labs, Amazon has been quietly working away on making its own ARM based CPU (dubbed “Graviton”) for its cloud environment. Chip design is of course an expensive business and not something to get into lightly, but SoftBank’s (TYO:9984) ARM licensing model allows the ubiquitous design house to give an initial leg up to anyone who wants to design a chip without having to start from scratch or have something do the particularly heavy workloads which Intel’s Xeon’s excel at. The other side of the equation is that Amazon doesn’t particularly need to win business for its chips given that it is the largest cloud provider out there, it can pass all the savings onto itself and its customers, pursuing its general discount strategy which is what has won it such a large share of the cloud market and clearly a strategy it intends to keep applying given that Amazon has stated that it’s Graviton cloud servers will be offered at a significantly lower cost than its offerings based on Intel’s chips. This is the second setback Amazon has dealt to Intel in recent weeks, with an announcement on the 6th of November that it would also offer AMD EPYC chips in AWS. Amazon has still said that Intel will continue to be a major supplier, but diversification and risk reduction from over-reliance on a single supplier will obviously be an important factor for the largest cloud provider out there. These changes also make Amazon the first major cloud provider to have an ARM based offering, important to keep its AWS growth on track. 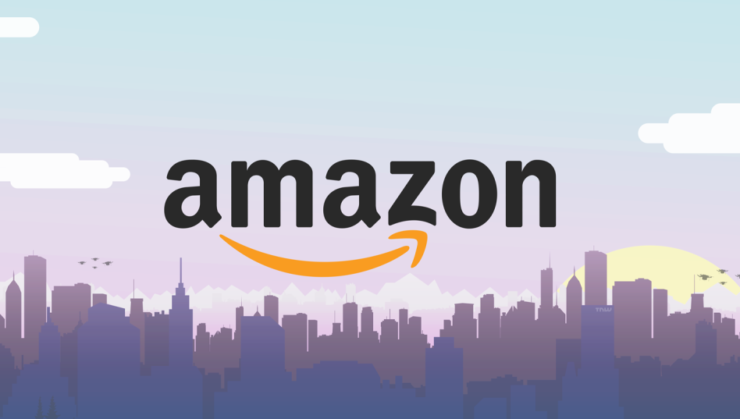 Although retail is obviously the main driver of Amazon revenue, it has struggled to maintain the stellar growth rates it saw in earlier years from that side of the business and AWS has become something of a jewel in the crown of Amazon’s earnings statements recently, contributing 46% revenue growth in Q3 and over half of the firm’s operating profit. The Graviton chip will also likely power costs in the data centre, thereby creating a virtuous circle of lower costs, which it can pass onto consumers who in turn can buy more and drive greater growth for the division. Initial commentary from Amazon indicates that for certain workloads such as web servers, costs could be as much as 45% lower than running on the existing Intel Xeon offerings from AWS. It’s quite likely that Amazon is using such headline numbers to attract attention and it’s clear that not everything in AWS is doing stuff as simple as running a web server. For those who need serious compute capability there are likely many workloads which the Intel/AMD offerings will likely still be required, but it is pushing them to a smaller piece of the overall pie. Will this hit Intel in the pocket? The only conclusion one can draw is yes it will, how much though remains to be seen.